Italian sausage has a permanent place on pasta and pizzas. Did you know that it also works well on bouncy Israeli couscous? 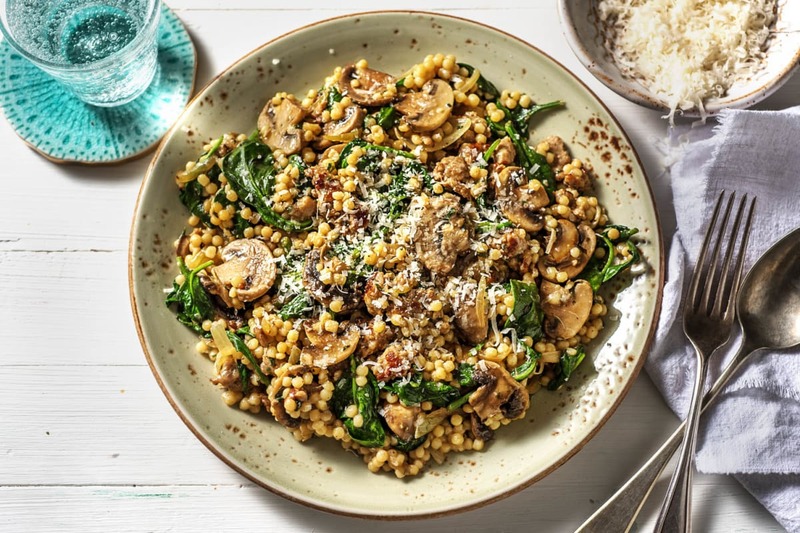 The adventurous combo is rounded out with golden-brown mushrooms and tender spinach. This dinner is a textural treat and packs plenty of delicious and garlicky flavours!